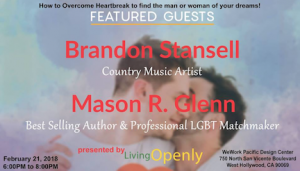 Living Openly and author Mason R. Glenn, head matchmaker for Gay Matchmaking Club, and musical guest Brandon Stansell, invite you to an informal chat on living your best life and how to love fully, even through heartache. 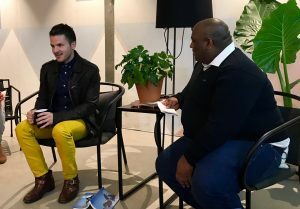 Coffee and enriching conversation will be served. Please RSVP HERE through Eventbrite.